Large common area including a recently added games room with pool table and Wii.High speed wireless internet throughout the building and in all guest rooms.All you can eat continental breakfast is included for all guests. Complimentary all you can eat breakfast with unique hot food item of the day is provided for all guests. Pick up and drop off service is provided as well as our night shuttle between 5pm and 7pm. Morning drop to neighbouring ski resorts, Hakuba 47, Goryu and Happoone ski resorts and to the Happoone bus terminal. We are happy to help you with lift tickets, ski and snowboard hire and things to do around Hakuba and tours in and around Nagano including Matsumoto Castle, Zenkoji Temple and the very popular snow monkeys. 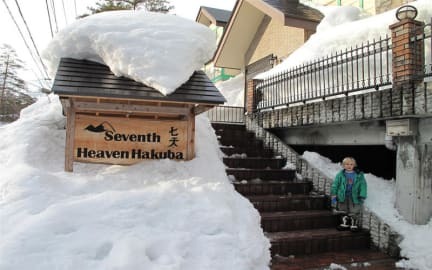 We had the most perfect visit in Hakuba and staying at Seventh Heaven played a massive part in that. Location is walking distance to Echoland if you want to go out, steps from 7/11 and the bus to the slopes of you want a later start. The included breakfast was delicious and there is always toast with jam and peanut butter if you want something special. They drove us to the lifts, onsens and dinner reservations too. Last but not least the guys running the place are absolutely amazing people! We had a wonderful stay at Seventh Heaven! The rooms were comfortable and the common areas were great. 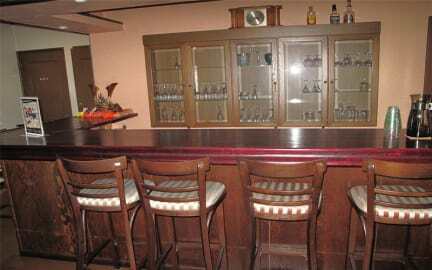 It was great having breakfast ready every morning, and the bar available in the evening. Hakuba was more difficult to get around than we had anticipated, with lack of taxis, but the staff was more than helpful shuttling us to resorts in the morning, and restaurants in the evening. We had a great time getting to know all the staff and already miss it! Thank you! !